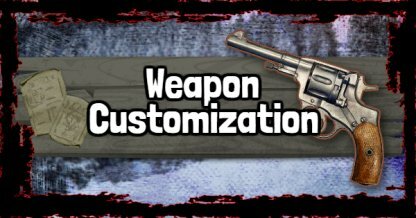 Tailor your weapons to your liking with Weapon Customizations! 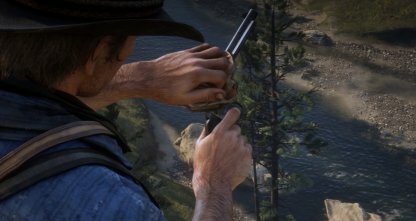 Check out this guide to learn more about weapon customizations, effects, & requirements in Red Dead Redemption 2. Enhance the way your gun works with the different performance upgrade options in the game! 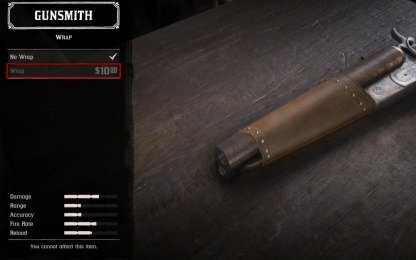 Create a weapon that handles the way you want it by changing barrels, grips, sights, and scopes. 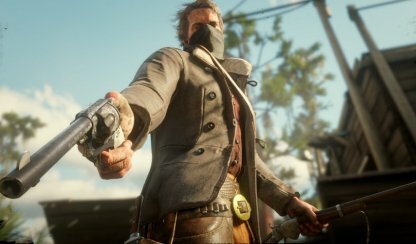 Cosmetic customizations change the visuals of a gun, but have no effect on weapon stats. 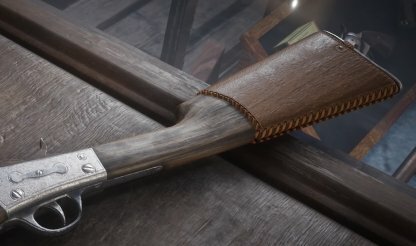 From engravings to different materials, there's a myriad of choices to choose from to create a unique weapon! 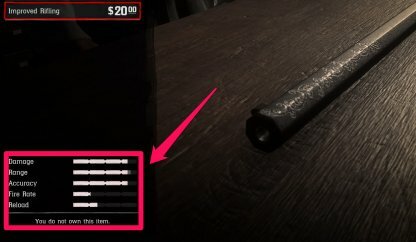 Unique Weapons are unavailable for cosmetic or component customization. 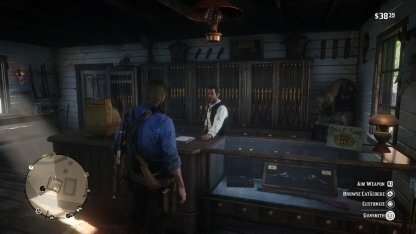 They can't be selected for customization at the gunsmith even if you have them equipped. 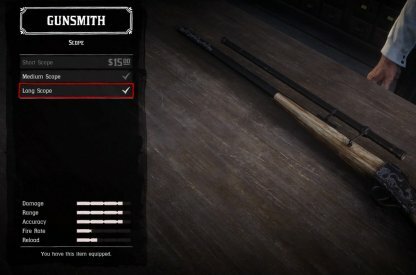 Weapon customization can only be done at the gunsmiths. You can find them in most towns and cities marked with the gun icon on the map. Degraded weapons cannot be customized and will need to be cleaned first. Thankfully, the Gunsmith offers cleaning services for the same price as regular gun oil! You'll be able to see how gun parts will affect the stats of your weapon while going through them. For cosmetic customization, you'll see a preview of what your gun would look like. 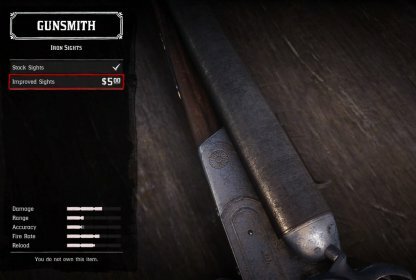 Players can freely choose from the weapon customization that they have bought at the Gunsmith. All customization are kept and can be equipped at any time. 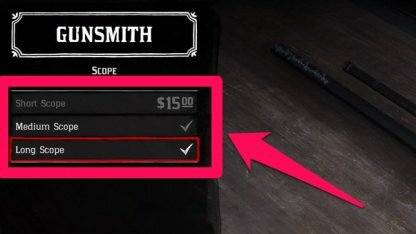 Better choose your cosmetic customization carefully as every customization will cost you money. Old changes are not saved and you'll have to buy them again. Iron Sight are added to the top of your gun's frame. This will help to guide you when aiming and get more accurate shots. You can buy wraps in the game to protect your weapon from the wear and tear of environmental elements and overuse. 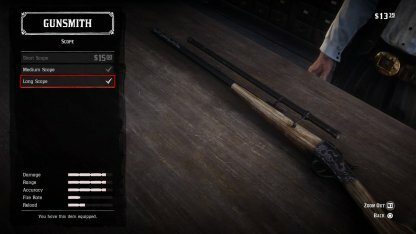 Scopes will allow players to extend their range and become more accurate when doing long-distance shots. Outfit your gun with intricate engravings to add a bit more flair to it! 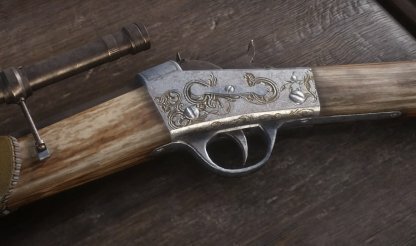 Choose from a variety of engravings in the game and you can even change the inlay metal for the engravings. Choose the look and color of the metal parts of your gun with Metal Visual Upgrades. This will affect the gun's barrel, trigger, and magazine. Players can also choose what color of leather they want for their wraps. However, this option can only be unlocked if you've bought Wraps for your weapon.